I love hosting parties. I always start out with crazy involved ideas and end up with a much more simple, understated theme which always ends up being easier and prettier! 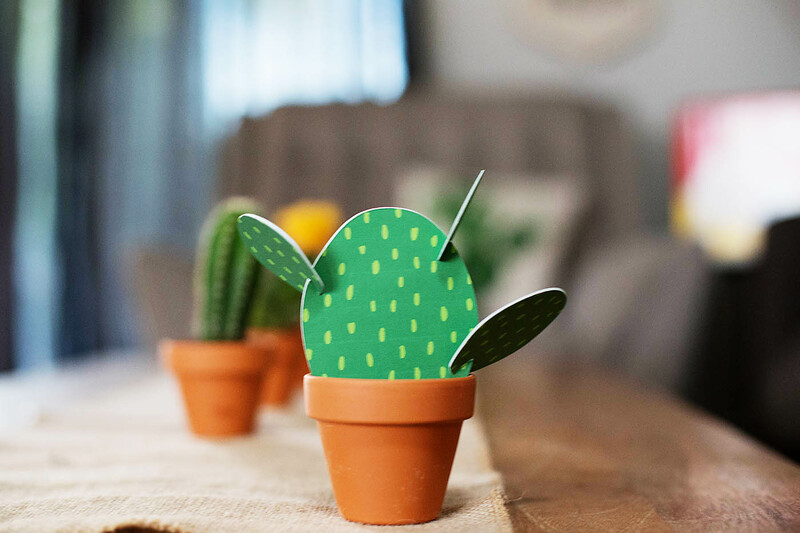 This cactus themed baby shower is easy, but makes a fun impact and sets the stage for a fun baby shower where everyone can celebrate the Mama to be. 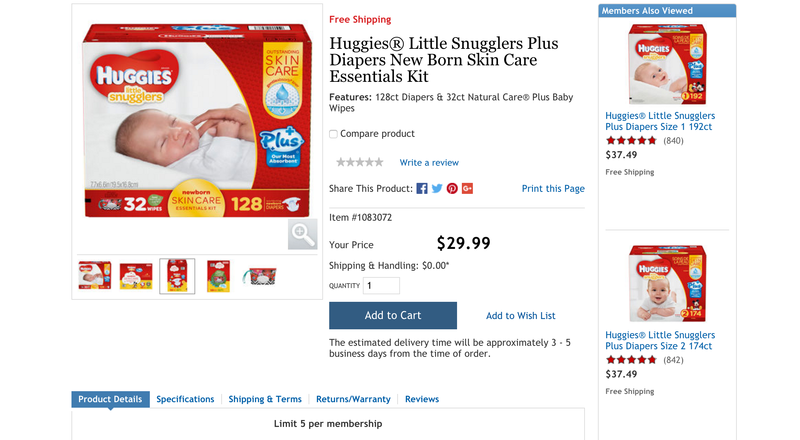 To make putting a baby shower together even easier, shop online as much as you can for gifts and supplies, like picking up some Huggies from Costco.com! 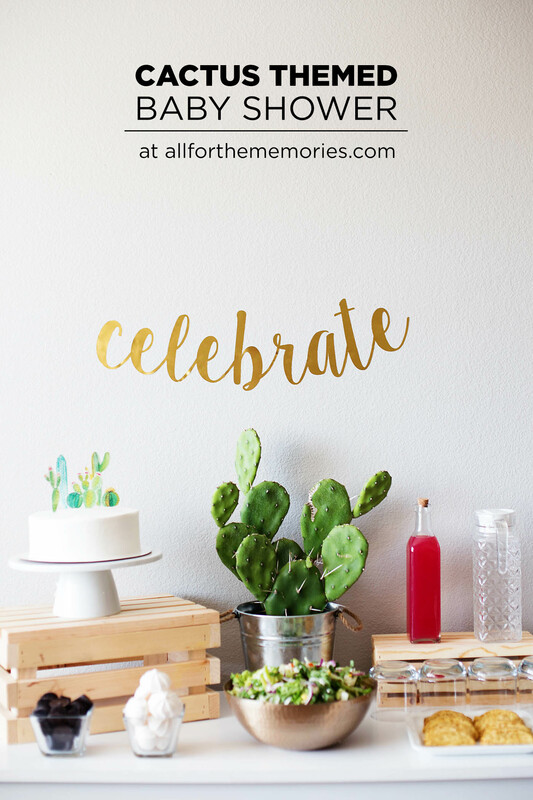 As easy as it is to go crazy decorating for a fun party, it really does make just as great of an impact to have a few areas of the house decorated and themed while leaving the rest of the space open for guests. 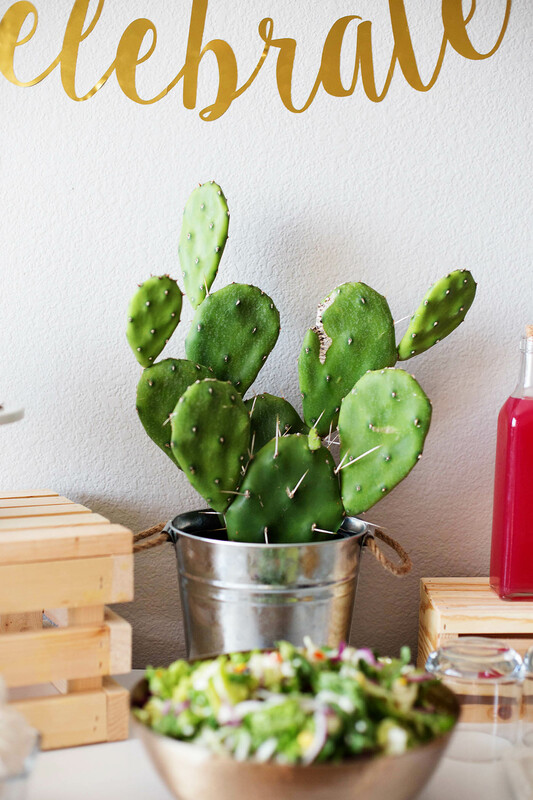 Even if I have more food planned, I like to keep the tablescape small and meaningful. 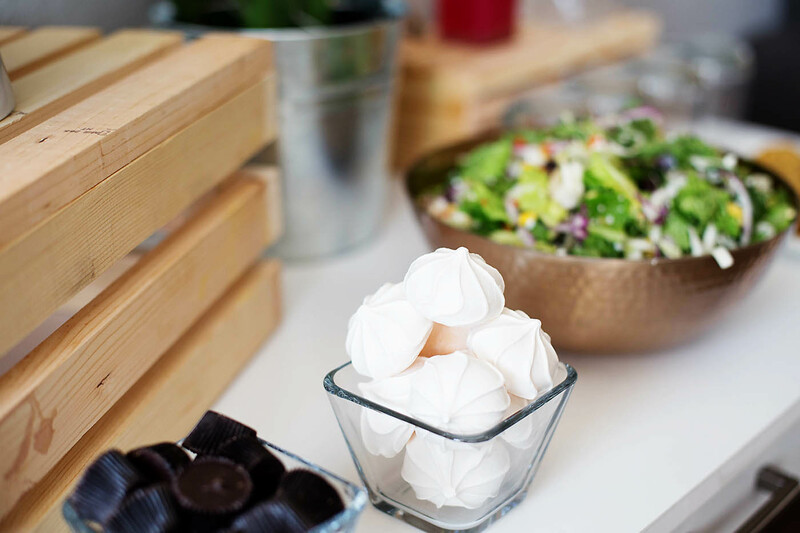 Adding a fun, interactive element to the party food or drink is also a fun way to keep guests engaged. 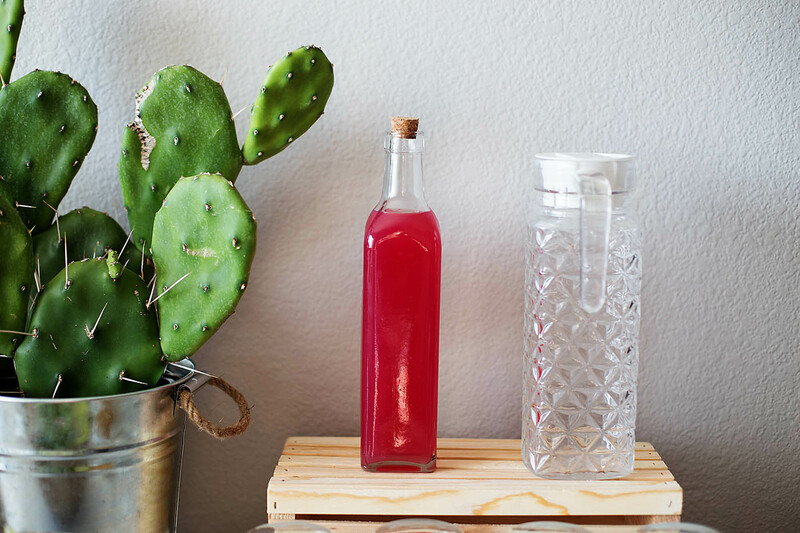 For this cactus themed shower I set up a prickly pear soda station. 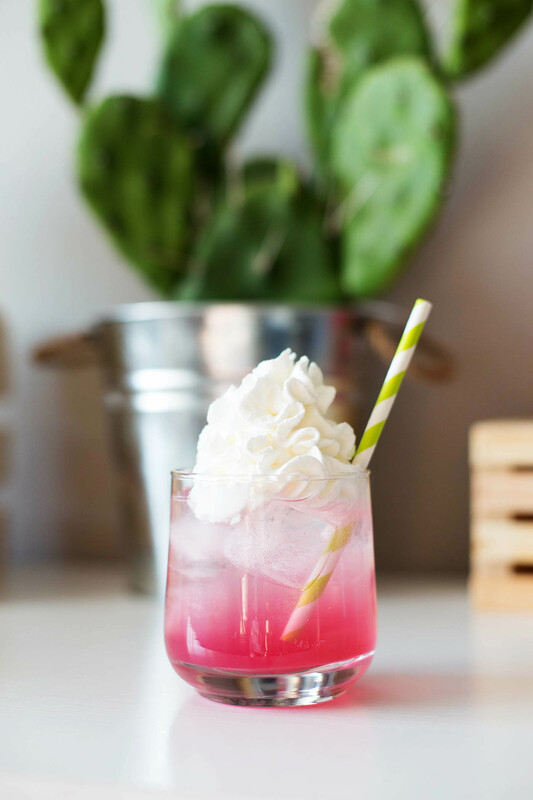 All you need is prickly pear syrup (store bought or homemade), sparkling water, ice and whipped cream. Add a bit of syrup to a cup of ice, top with plenty of sparkling water and whipped cream if desired. 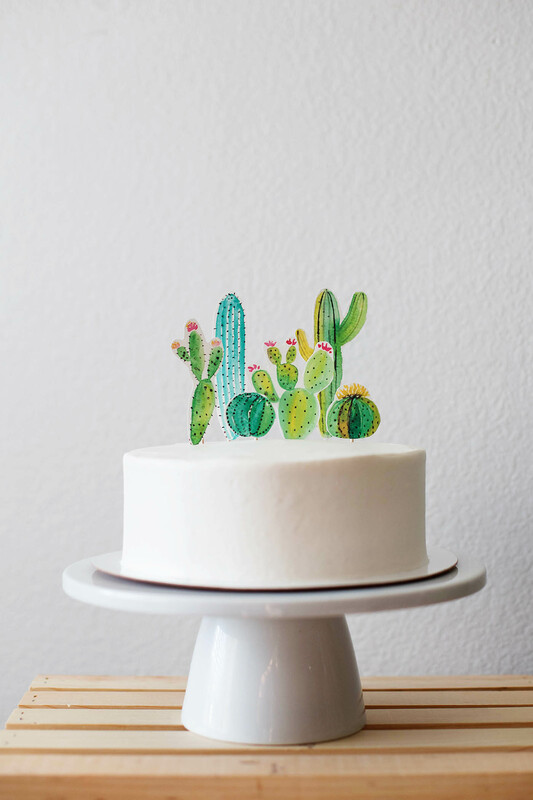 The cactus cake couldn’t be easier. Frost a cake with plain white frosting (or just buy at the store). 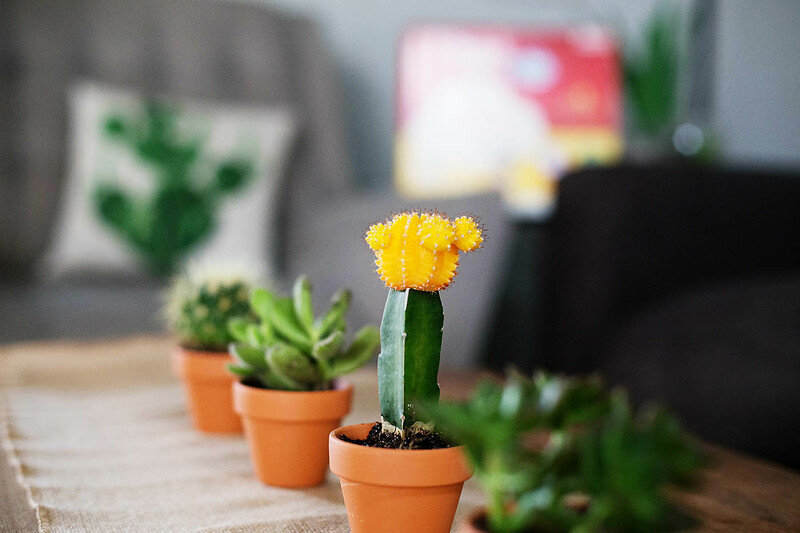 If you’re artistic you can paint some cactus but I used this beautiful printable from One Project Closer. 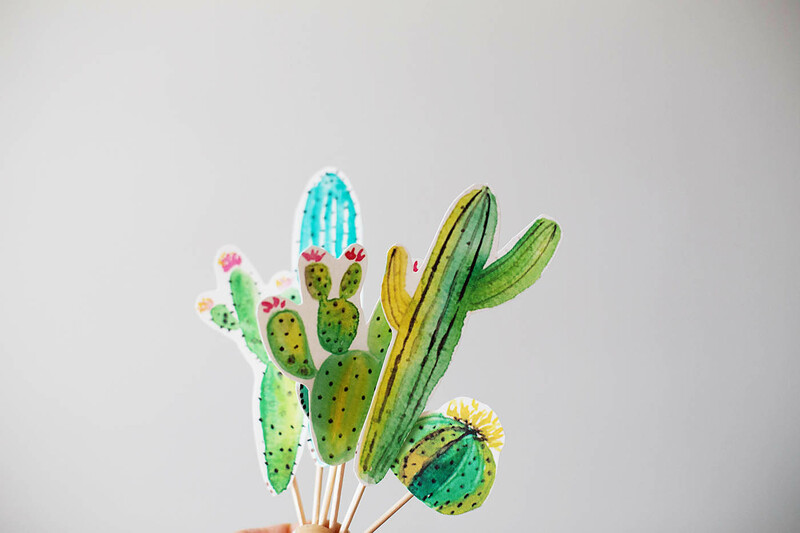 Print out on cardstock, cut and tape to some toothpicks. 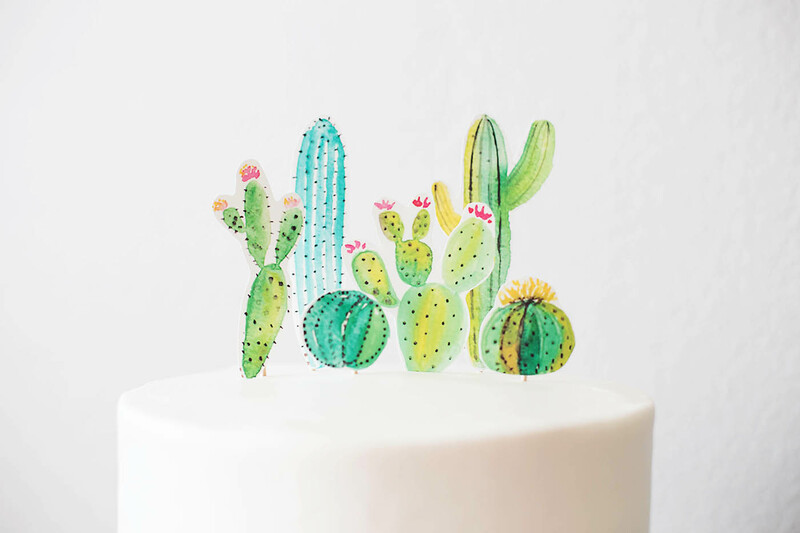 There are plenty of free cactus printables available online if you were going for a different look. 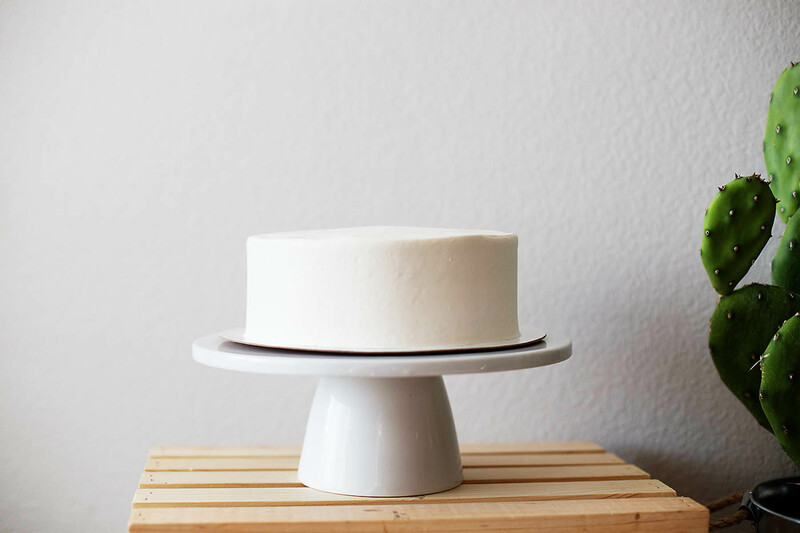 Add to your cake at varying depths. I just love how it turned out! Definitely using this technique for future parties! For the seating area of the house I wanted to designate the chair/gift area for the guest of honor. A simple banner should do the trick! 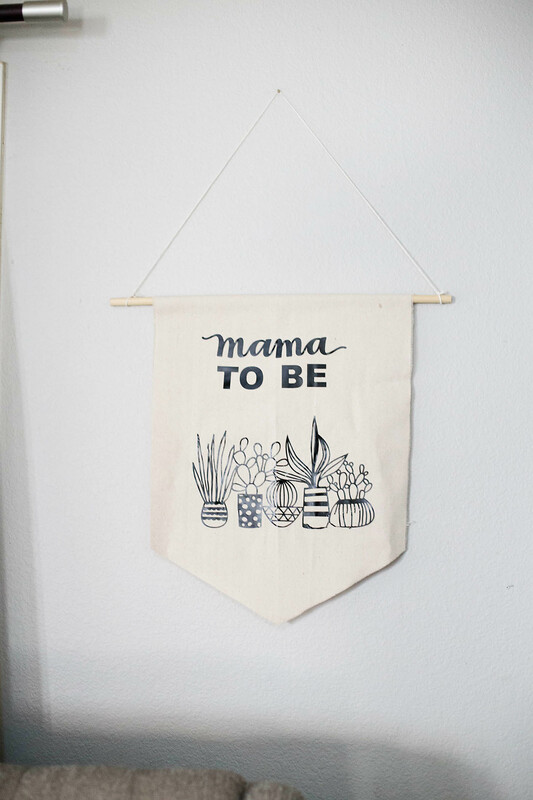 I love these easy banners for all kinds of occasions. 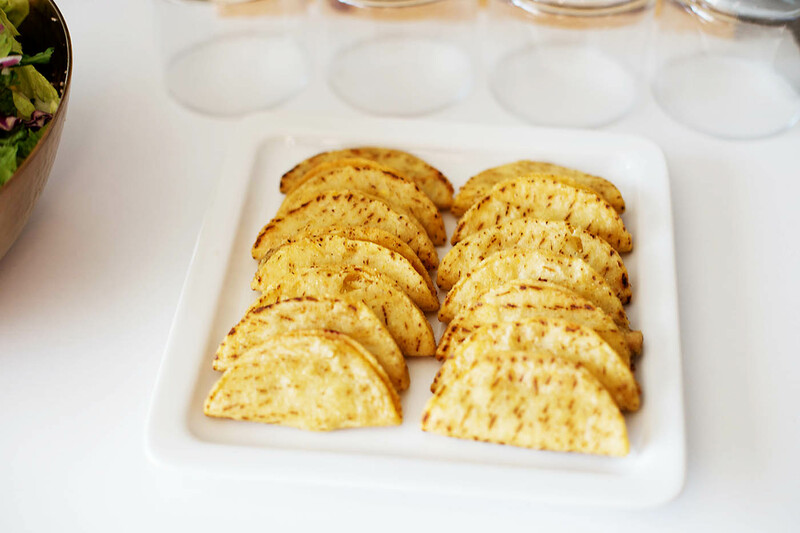 If you’re making one for a party that won’t be used again, it’s even easier. Start with some fabric you already have if possible. This is actually just a drop cloth I had but never used! 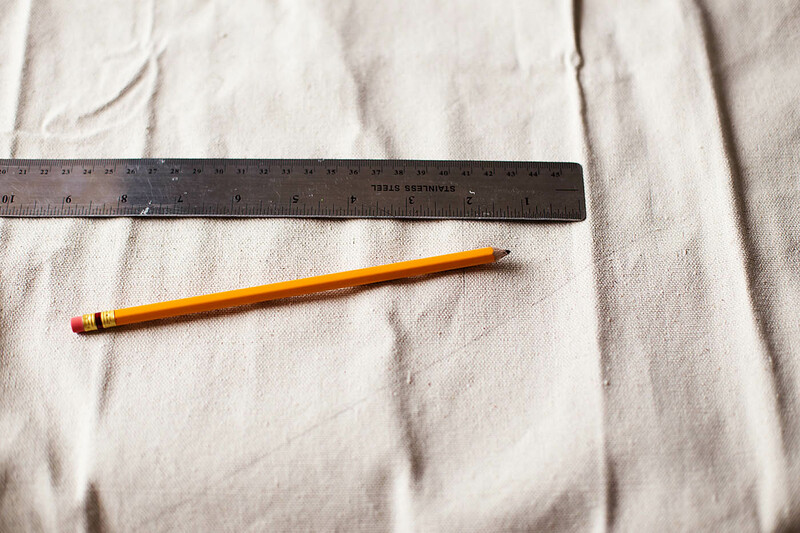 Measure out your shape and trace with a pencil. Cut out leaving a little extra room at the top. 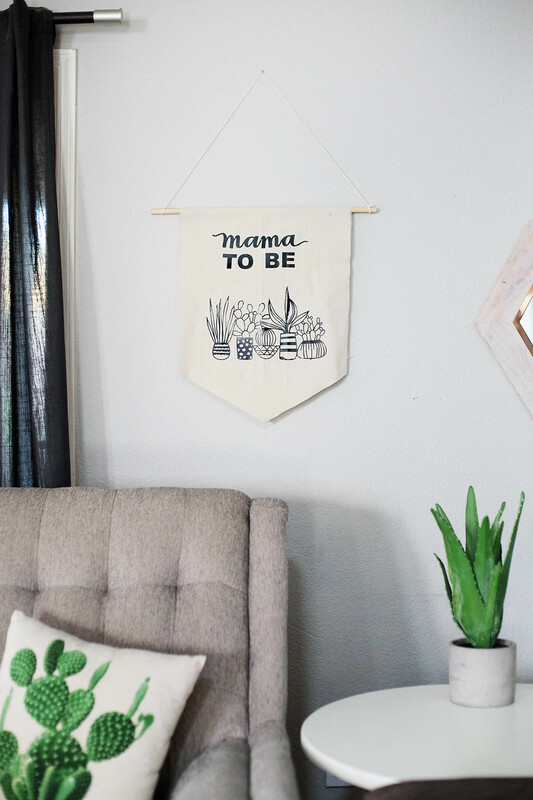 Add your designs using markers, paint or, in this case, vinyl. I found this adorable pattern and knew I wanted to use it. 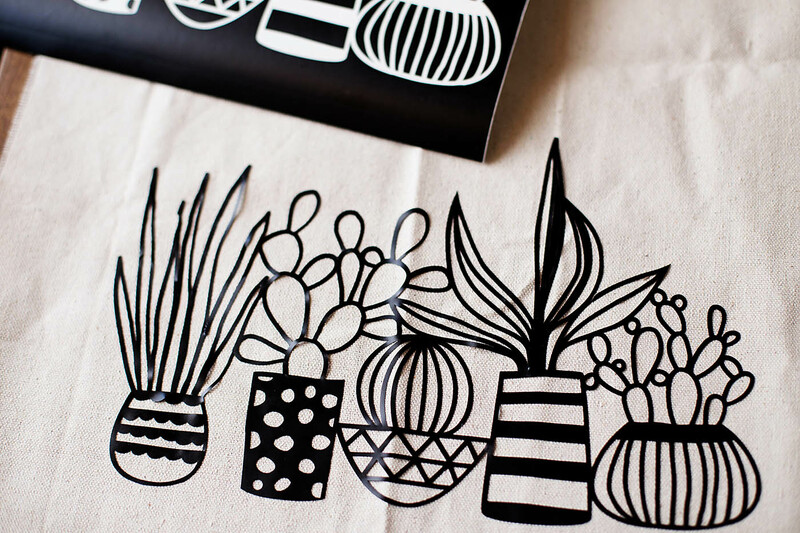 I was going to do a freezer paper stencil at first, but because the design was so intricate I decided to go with vinyl. You could also find a printable online for this and print that out as well! 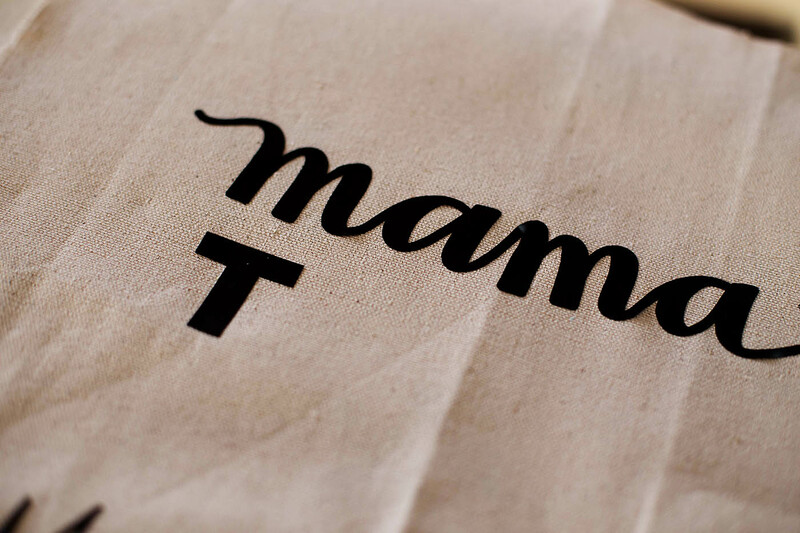 Add some words to the top, in this case “mama to be” so everyone knew where her seat was. 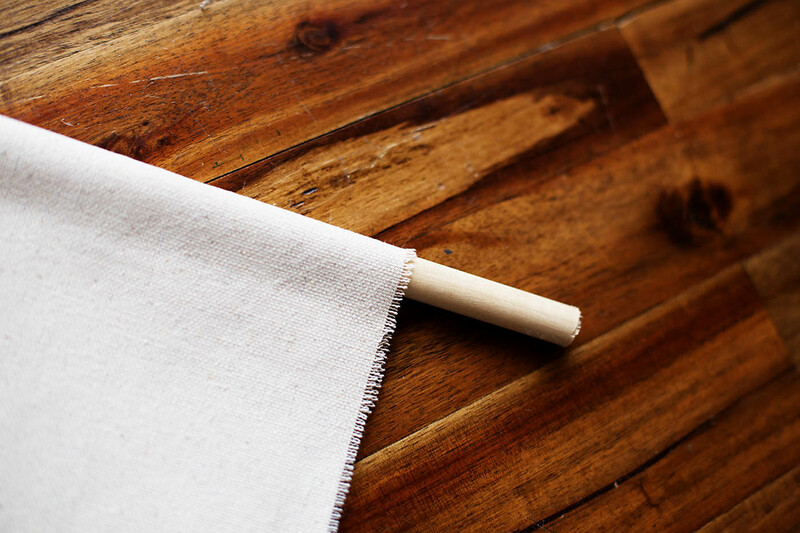 Once your banner is decorated, fold the top over and glue making room for a wooden dowel or stick. 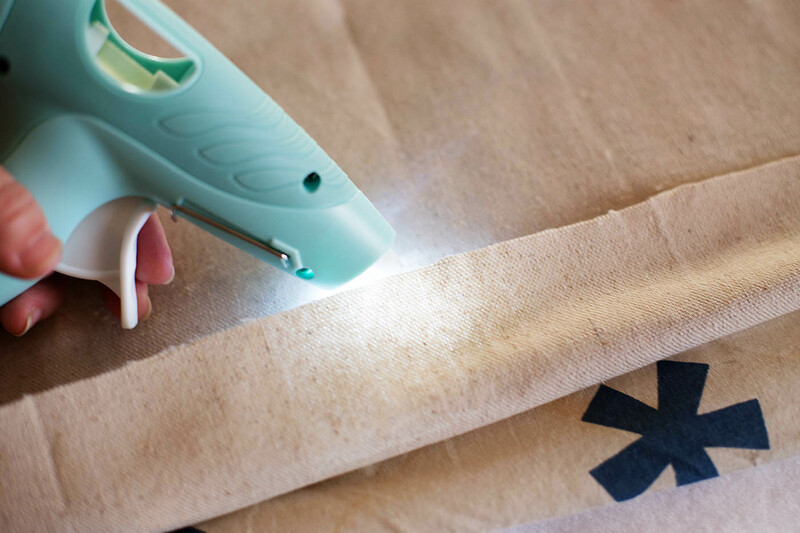 No sewing = quick and easy! 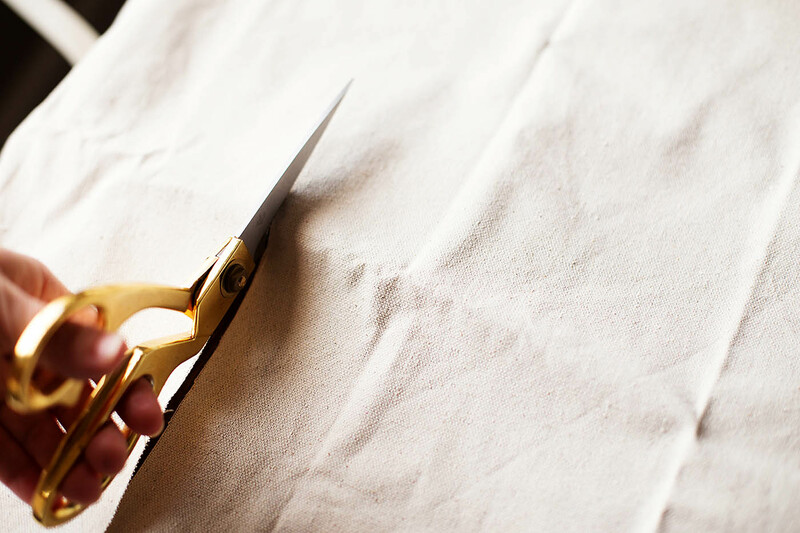 If you are making a banner to give as a gift, you’d probably want to sew at this point as well as sew off the edges so they don’t fray. Add a string and hang! 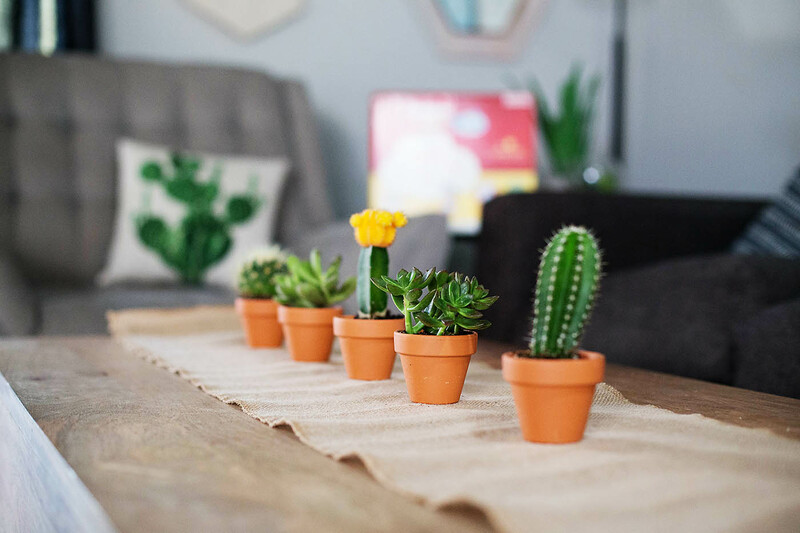 Little cacti and succulents make perfect decor and gifts to send home with the guests (I’m not a big game person). I love a mix of real and artificial so they can choose whichever they feel more comfortable with. Even some paper ones will do! I really did buy some Huggies online. I love when I get so crazy party planning that I forgot I ordered gifts online and they just magically show up at the door! 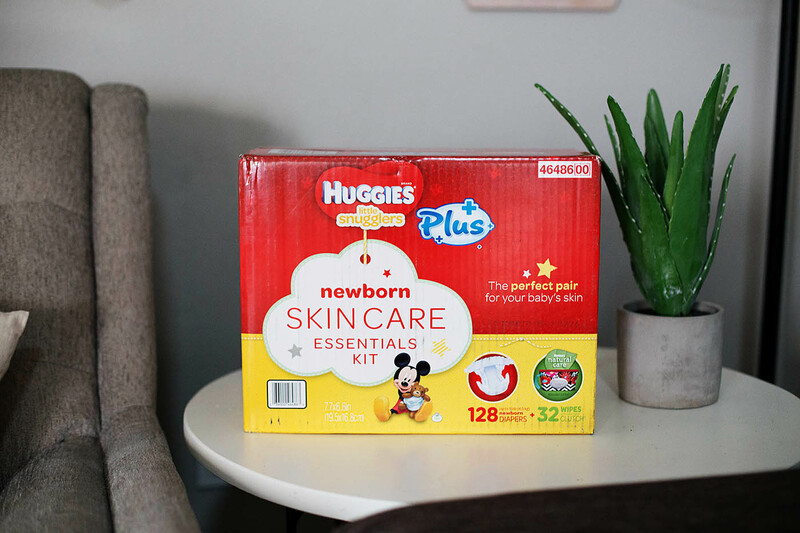 These Huggies Newborn packs are only available at Costco or Costco.com and are an awesome value! These are awesome for new moms because they have the soft outer covers, keep baby’s skin clean and healthy with the GentleAbsorb* Liner (sizes N-2) with its tiny, soft pillows that provide a cushiony layer of protection between baby’s skin and the mess, have the awesome color-changing wetness indicator, an improved pocketed waistband to keep the mess where it belongs (I am all too familiar with these messes), the little cut out for the umbilical cord and the most ADORABLE Disney designs only available at Costco. 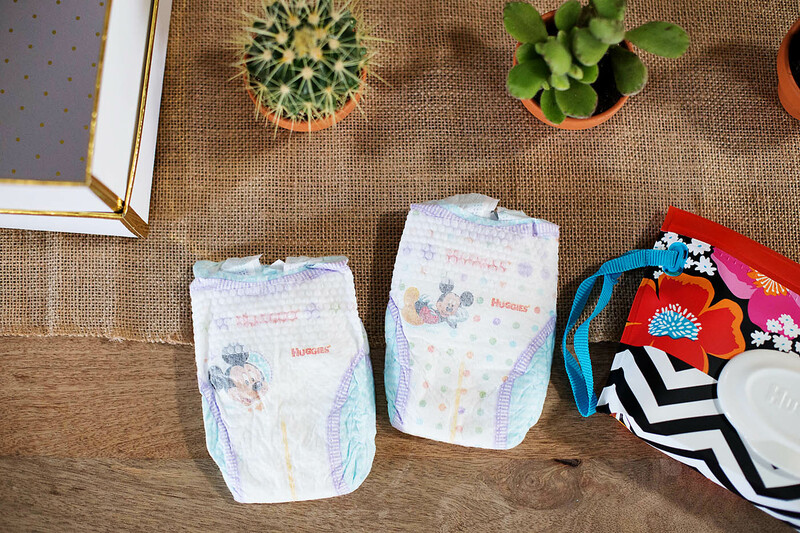 Please tell me I’m not the only one who can’t get over how CUTE tiny newborn diapers are? 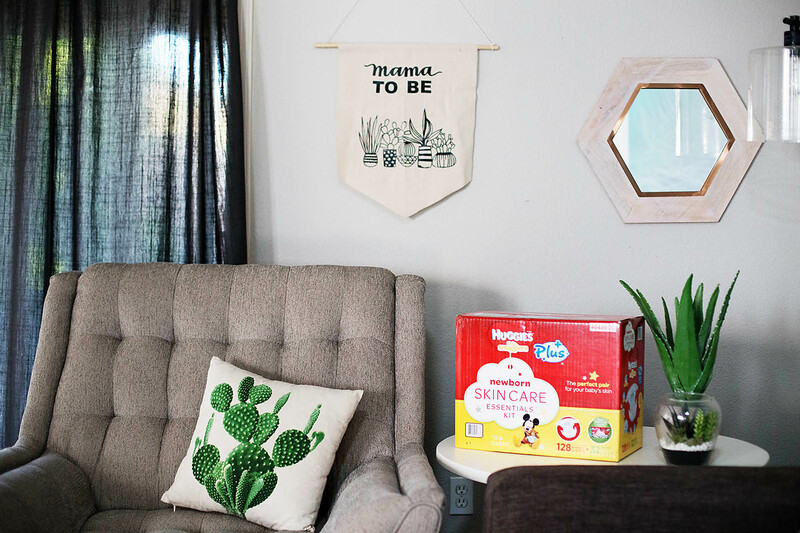 These Huggies Little Snugglers Plus (the Plus means they are the softest, most absorbent* Huggies diapers) come in sizes Newborn, 1 and 2 so you can stock up for mom! 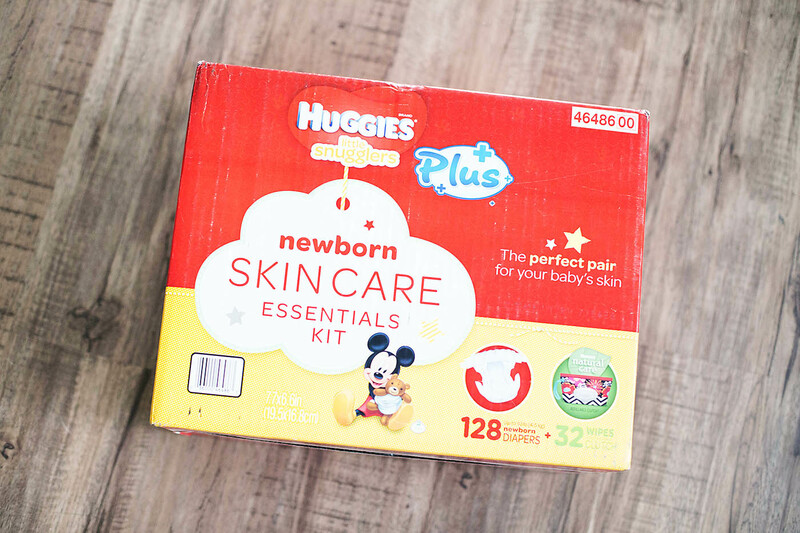 One of my tips for new moms and a favorite gift to give them is an emergency back up kit. Not the hospital kind of emergency, the baby can’t keep any clothes from getting totally messy today emergency, or the I ran out of the house and forgot to re-fill the diaper bag with diapers emergency. One for each car is perfect and then you can just randomly give mom some bigger sizes throughout the year. You can also do a larger emergency kit with things like diapers, wipes, formula, bottles, water first aid kit etc. but just this simple kit with extras will come in SO handy and when you least expect it! Add the kit to the gift table with a little note inside about what it is. 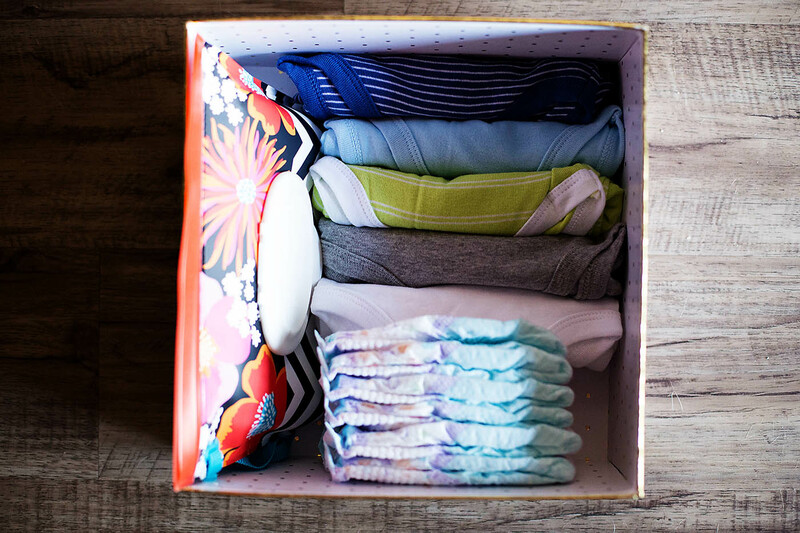 It’s always fun to hear the other mom’s stories about whether they had a kit or were stuck without one! 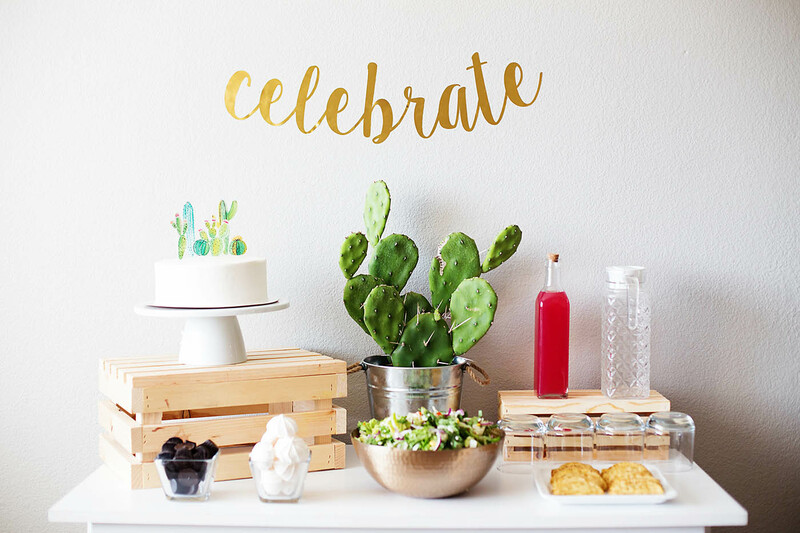 Throwing a baby shower doesn’t have to be super involved. 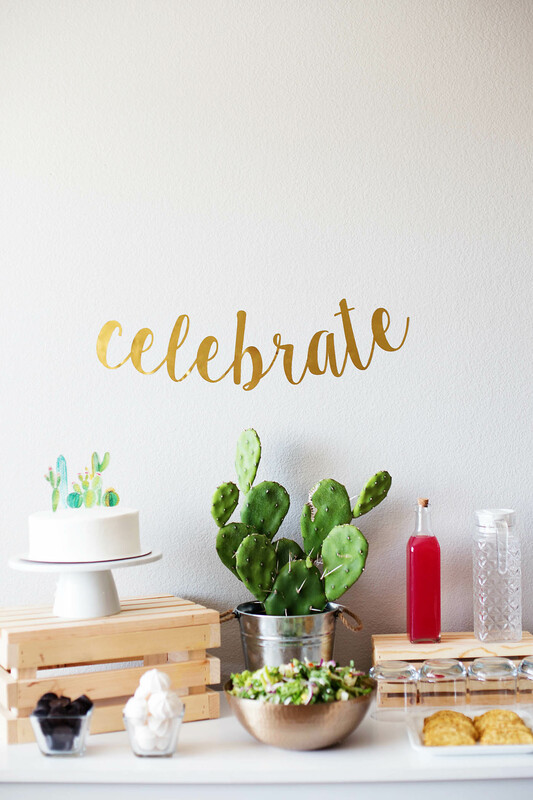 It’s all about the little details and celebrating life! 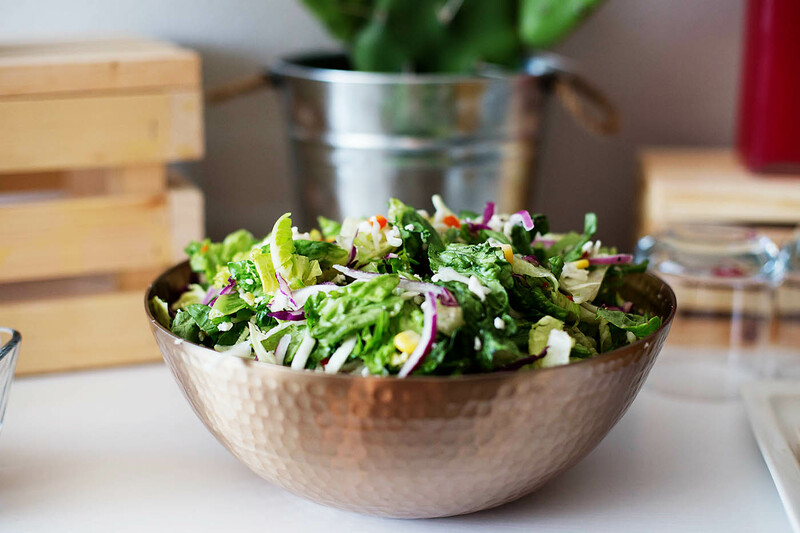 Check out some more tips and ideas HERE. 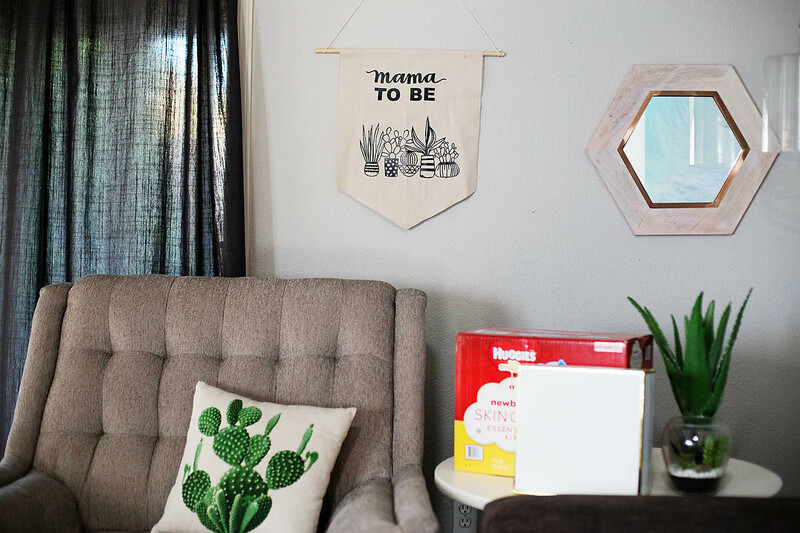 What’s your favorite tip/gift for new moms? Oh my goodness this party is amazing! What a creative idea.